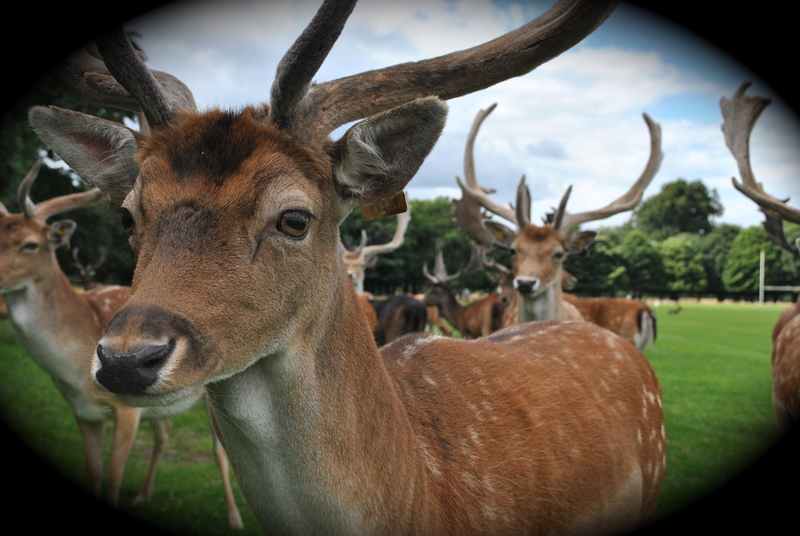 One of the greatest treasures that Ireland has is the beautiful Phoenix Park in Dublin. Whilst growing up we would the park at least a couple of times a year to go to the zoo. It used to be a whole days adventure, having no car at the time it involved packing a lunch and getting the No. 10 up to the park gates.! Sometimes after the zoo we’d head over to the Wellington Monument – thinking back to us racing up the slanty slabs still brings a shiver down my back! – oh the fearlessness (or relative stupidity) of youth. 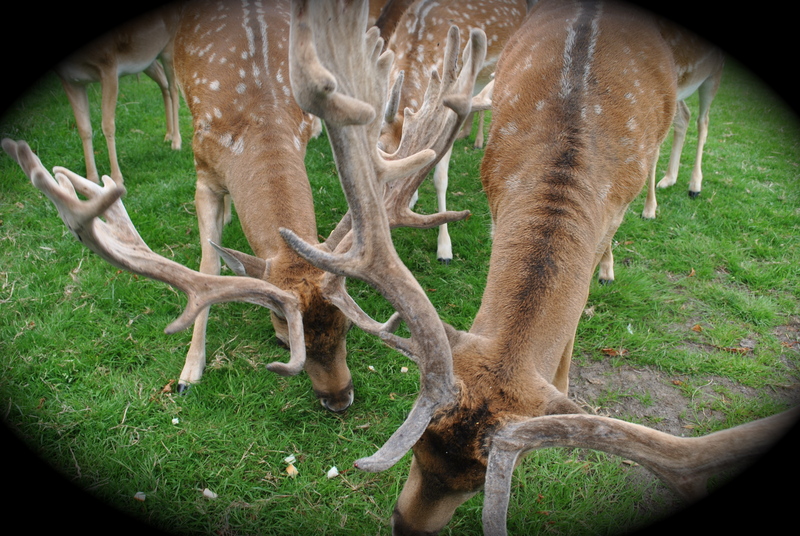 But often we’d head to the Papal Cross, and the hope was always that we might get to see the herd of majestic Fallow Deer that lived in the park. We would try to move in little silent steps just to get a tiny bit closer, oh how I longed to pet them. But these were wild deer and we understood that to approach them would most likely frighten them and that was not good. A quick movement caught in the corner of their eyes would send the whole flock scattered into the shelter and cover of the many trees. So we would admire them from a distance. 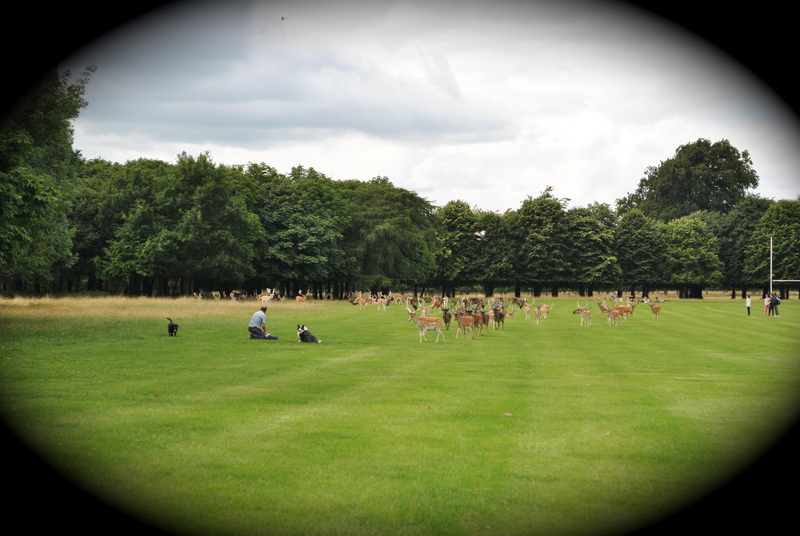 However things seemed to have changed slightly over the years and the deer seem to be more used to people coming up to photograph them or just admire them, although still ever watchful. Watchful that is, to everyone else bar one man.One man and his dogs. This man arrives in the park, not too far from the cricket grounds everyday at almost the same time. You can just sense from him that he knows this place and is comfortable here. He gets out of the car and is followed excitedly by two dogs, one older than the other and they shadow him as he goes to the boot. He opens it up, pulls out a hurling stick and a couple of tennis balls, obviously to give the dogs a good run – although running would seem to be the last thing on these rotund much loved companions agenda, but they wag their tails regardless. Now this could be pretty much the same scenario for anyone driving to the park to give their dogs, or themselves for that matter, a good walk, some much needed fresh air and relative freedom from the noise and stresses of the city, except for what happens next. The man takes out a bag, sometimes a plastic bread bag, sometimes a paper bag and closes his boot. 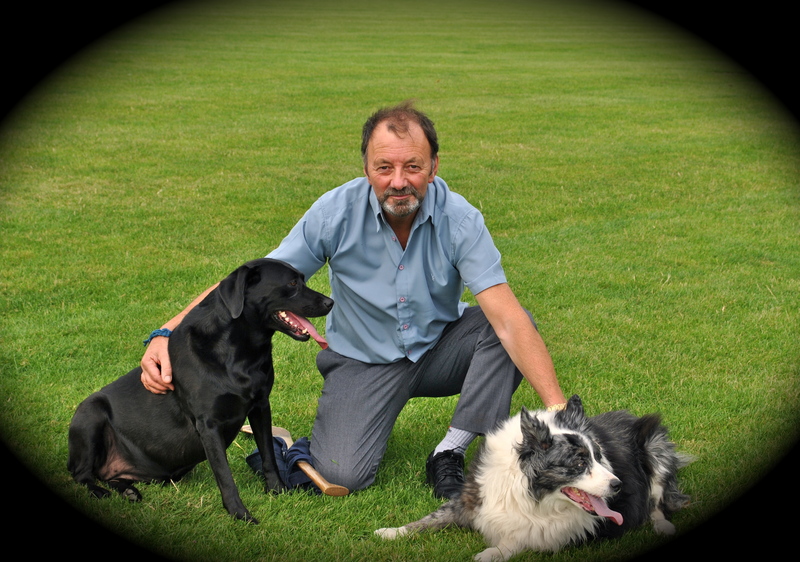 The two dogs happily run ahead from the tarmac onto the lush green grass over towards the trees, and before the man even starts to walk there’s movement in the distance. Something has stirred. 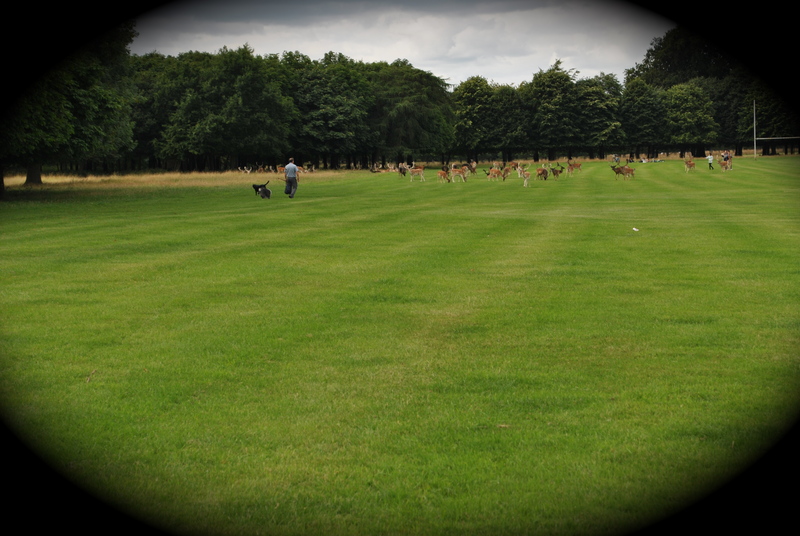 And as though they’ve appeared from thin air, the herd of beautiful fallow deer are walking out and looking intently towards this man and his dogs. He walks on and lets out a whistle that hits many notes, not too loud or harsh sort of like a singsong whistle. The deers stand momentarily with their necks up straight and begin to walk towards him. No flinch. No fear. They gather speed. 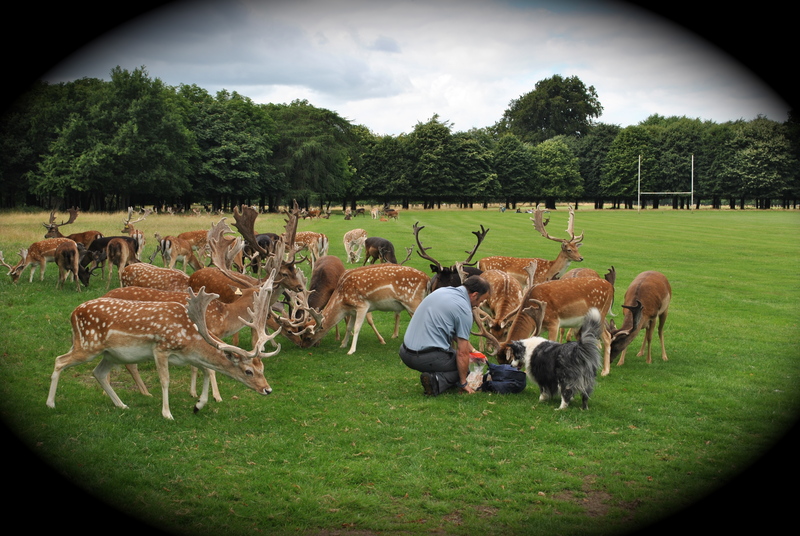 The dogs ramble pass the deer, and sit down in their company while the man reaches them and hunkers down and rustles in the bag. He takes out a handful of cubed bread. Sometimes handfuls of oats or crushed weetabix. Sometimes carrots and apples, but everything chopped up into perfect bitesize pieces. And the deer put their heads in his hands. And he pets them while they feed, and he knows the cheeky ones that go rummaging in his bag while he’s not looking, and he knows the quieter ones that he goes over to separately to make sure none are left out. The dogs wait patiently. After a few minutes, he rolls up his bag and begins to leave them as he wanders off to finish his walk. But not before he sends out another little whistle, that to me seems to let them know he’s going and they start to wander back among the trees, to their safe place. Alas these are still wild animals, although they may seem tame, they also need to be respected. 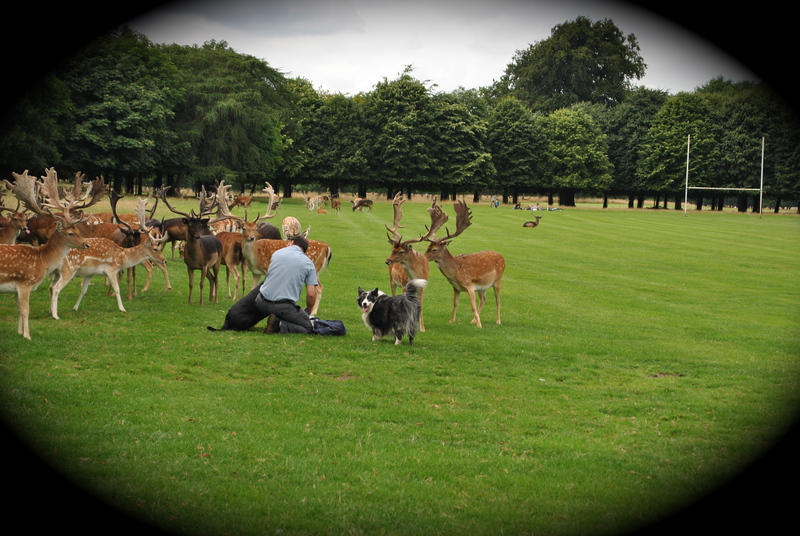 And there most certainly seems to be mutual respect between the man, his dogs and the deer. So how lucky am I that he’s my dad, and Bug’s grandad, and that a couple of weeks ago he was able to experience something I could have only dreamed of at his age. 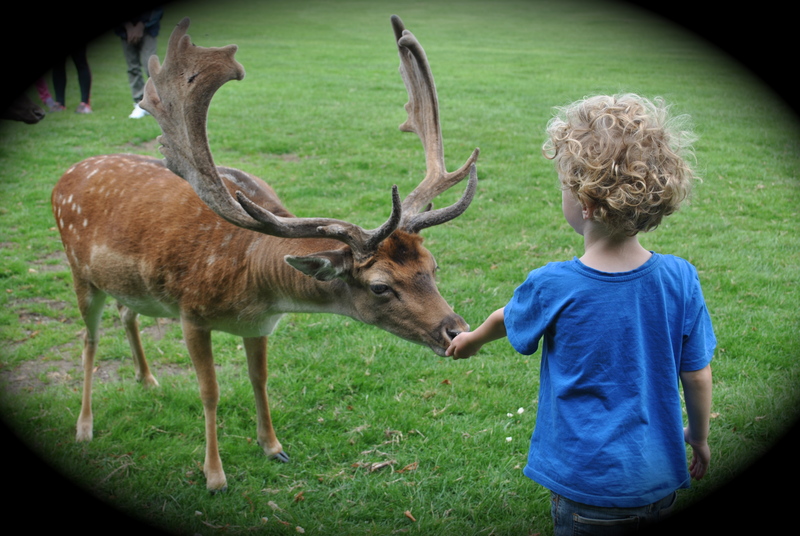 He calls them ‘grandad’s deers’ – and in fairness they kinda seem to be…..
How beautiful…. 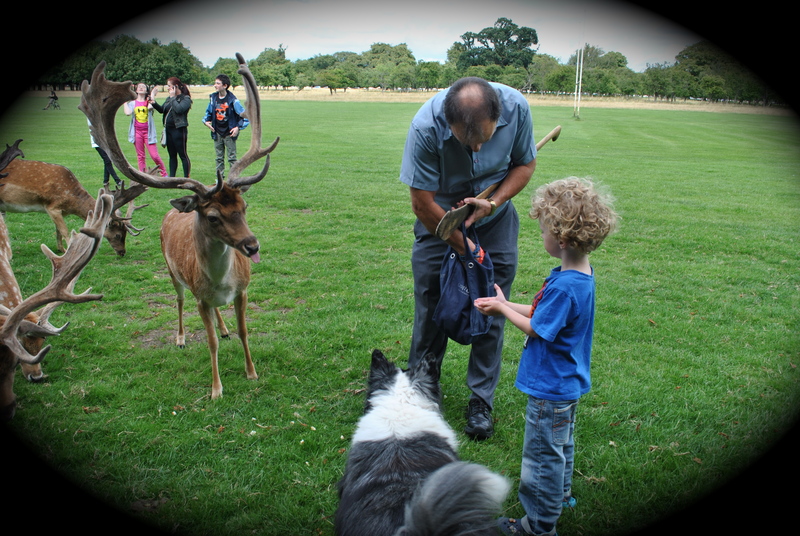 I think your Dad should be called “The Deer Whisperer” …. what a lovely thing he shares with his grandson…. a special memory for life! Paula how lovely! What fantastic memories for your children too.